The shelves in most supermarkets have been stacked with Easter eggs since just after Christmas and as the end of March fast approaches you will probably be stocking up on chocolate goodies for family and friends too. 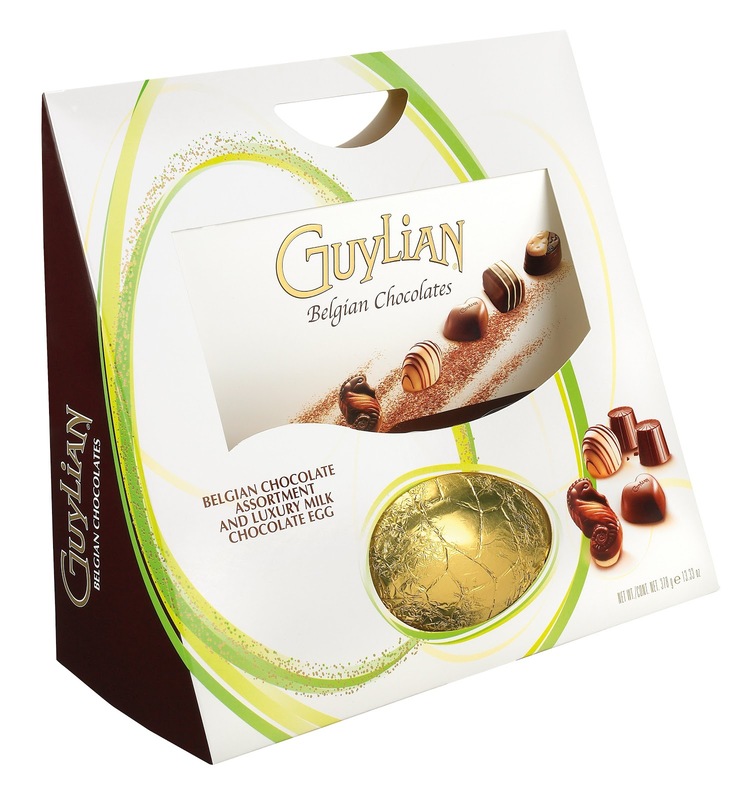 Guylian have kindly provided two delicious Easter eggs to give away to make sure you enjoy a nice treat too. 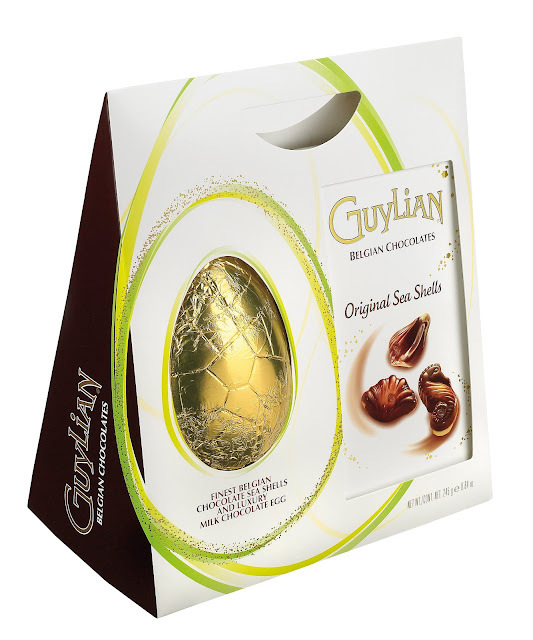 Made from the finest Belgian chocolate, this egg comes complete with a selection of sea shells. This luxury edition egg is accompanied by a delicious Belgian chocolate assortment so you can really indulge! For your chance to win 1 of these 2 eggs you can enter via the Rafflecopter entry form below. The giveaway closes on 26th March 2013. Follow by GFC as Jennifer Dysart, yay for chocolate giveaways! My kids - they always want some of mine anyway even though they each get about a dozen of their own! My boys - cause my husband doesn't like praline! Sometimes I buy it so he cant eat it! I think i'd hide it or I wouldn't get a bite! It would have too be my husband, he deserves a treat every now and then, because he has to put up with me. I'd share it with my husband - never get any peace otherwise! Ohhh how lovely! I'd love to win one for my Nanna - she deserves something special! I think this looks too good to share, although doubtless my daughter wouldn't let me get away with keeping it to myself. My mum as she works hard and deserves a chocolate break! My partner...he'd try to eat it all though! sharing is for cheap stuff, not luxuries! I would not share this.. I would devour it all by myself. I would share with my husband because he is awesome. I'd share mine with my husband and children because they are all working very hard at the moment. My husband and the kids! I share everything with them! I would share with my three grandchildren and their mother.It would be well worth it just to see their faces when I produced the egg. Guylian are their favourite chocolates. i would share it with my dad , because he is all i got left after my mum died so it would be good to treat him . Im selfish. Id share the chocolate with me ha! id share with the grandkids mind i probably wont have much choice if i win! my son, because he's the biggest scrounger! Hmm, that question suggests I must share it! I would share ti with my mum as she always buys me chocolate. Following in GFC as Ali Thorpe. Living in a house full of chocoholics I'd have to share with my two girls and husband. Reluctantly! I must love them! My kids would not let me not share this! I think I've followed via GFC but on iPad it's acting odd! I would share mine with my mum as I don't get a chance to spoil her as often as I should. My partner, because she's the best. And she doesn't really like chocolate so I would still get most of it! No one, I'd have to eat it all! Not sure I'd want to share, but the family I guess. with my son because i wouldn't have a choice! I would share with anyone who visits on Easter Sunday! I would share it with my 3 sisters - we are all dieting so a little bit between us wouldn't harm! I would share it with my boyfriend as he really likes chocolate. I would share it with my sisters. forgot to say why! because if he gets one I'd expect him to share! I'd share with my kids, so I don't spoil my diet by eating it all myself. My little sister who is just of a chocoholic as me! my sister as she always loved these when we were growing up! with my husband but i might hide it so no one knows i have it! I would share it with myself - half one day and the rest the next! I would share it with my famil! I'd want to keep it for myself but I doubt that would happen with all the choccy lovers in this house. Very unoriginal but of course I would share with the family. I'd share it with my little sister. We've had a bad few months and we don't live near each other so i'd love to get together with her, have a girly night, takeaway, chocolate and a movie. As I tell my son....mummy doesn't share chocolate! And definitely not Guylian! It's all for me! My children because they'd beg me until I gave in! Following you on GFC as natalja p.
wouldn't share it. i'm not sharing chocolate. I would share it with my hubby and my son, as they would share things with me too. I'd share it with my OH because he would do the same back. My daughter, because I love her. Hmm well... is it bad that I wouldn't share it with anyone? I love Guylian too much haha. I would share with my children.... if there quick! My daughter who yesterday ran her first half marathon for breat cancer and got soaked to the skin in the process! my husband - we share everything! Sharing chocolate? Sorry I don't understand that concept!!! !